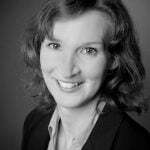 Else Fitzgerald is a Program & Events Manager with extensive experience in developing and delivering artistic programs, working across all aspects of project and cultural events management. Else has worked at RMIT since the beginning of 2018 as the Coordinator of the non/fictionLab. She was previously the Program Manager for the Emerging Writers’ Festival and Melbourne Knowledge Week, and has worked with various literary organisations including Melbourne Writers Festival and Writers Victoria. 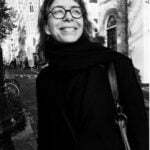 Else is also a writer, with her writing appearing in various places including Meanjin, Australian Book Review, The Suburban Review, Offset, and Award Winning Australian Writing. Her work has been recognised in prizes including the Grace Marion Wilson Prize, the Elizabeth Jolley Short Story Prize, the Lord Mayor’s Creative Writing Awards and the Fair Australia Prize.